3-Tier Tower Shelving Just $26.49! Down From $45! PLUS FREE Shipping! Hop over to Amazon to score this 3-Tier Tower Shelving for just $26.49 down from $44.99 PLUS FREE shipping! Choose the stylish home storage solution with Seville Classics’ 4-Tier Iron Square Tower. Unit is coated with a satin pewter epoxy. Each shelf holds up to 25 lbs. No tools are required; the shelves snap into place on the folding frame. Expand the organizer with additional interlocking units for home storage that suits your needs. 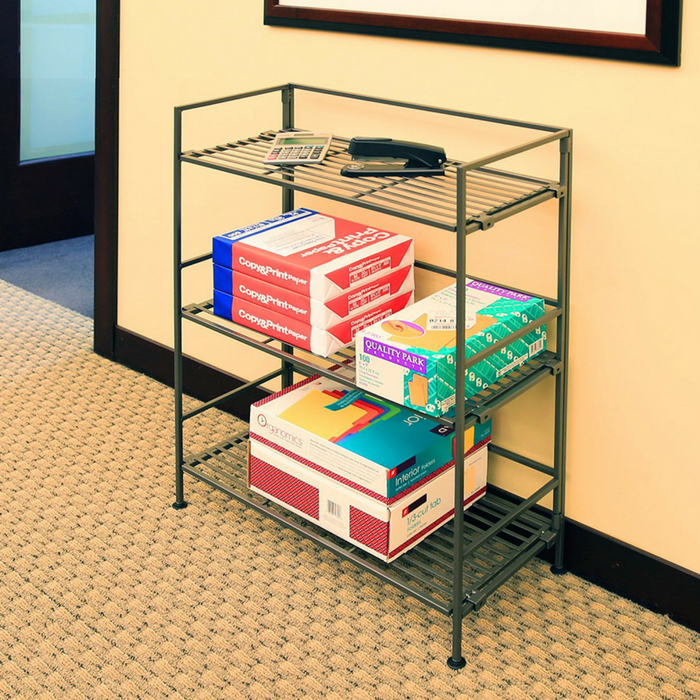 Slat iron shelves are engineered for strength and hold up to 90 lbs. 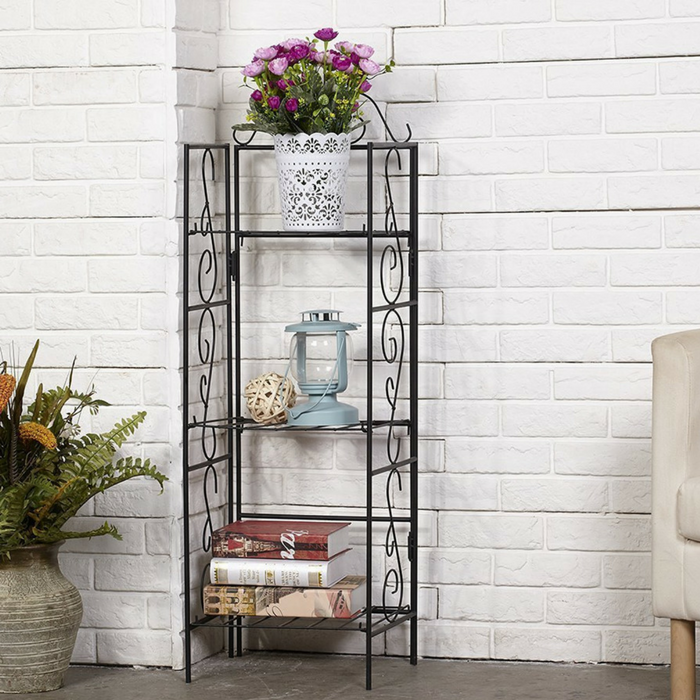 Iron 3-Tier Wire Shelving Unit Just $35.99! Down From $100! PLUS FREE Shipping! At Amazon, you can score this “Best Seller” Iron 3-Tier Wire Shelving Unit for just $35.99 down from $99.99 PLUS FREE shipping! Save some space with this 3-Tier shelf at anywhere you need. This shelving unit can work as plants stands, books shelf, bathroom organizer, shoes storage rack and so on. What’s amazing is that it won’t occupy too much space. Nice! Space Saving: You can put the sturdy iron organizing shelf at any corners, the 3 tier stand can work as plants stands books shelf bathroom organizer shoes storage rack and many other use with just a small space. Lightweight: These metal pieces for the shelf are lightweight (feet are hollow) and sturdy enough!Easy to carry around and as sturdy as you need it be. 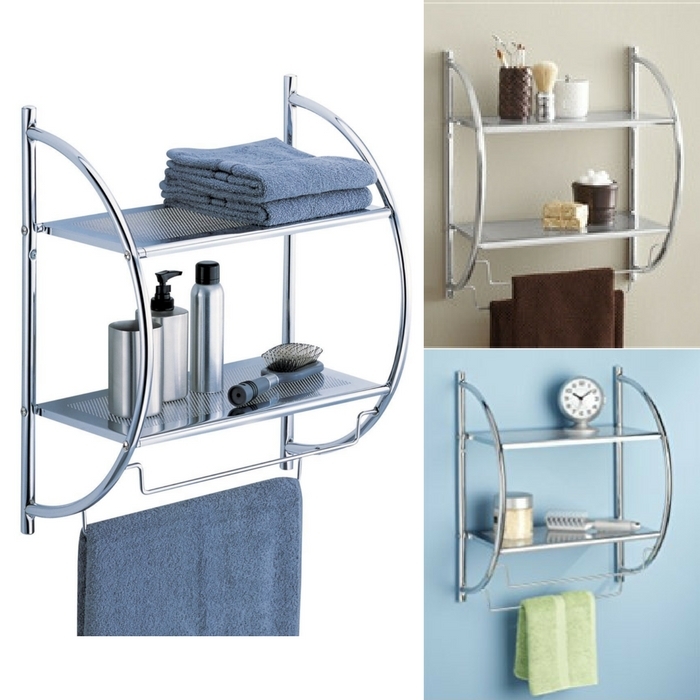 2-Tier Shelf With Towel Bars Just $11.98! Down From $30! Amazon is now offering this 2-Tier Shelf With Towel Bars for just $11.98 down from $30!